6 Things to expect during the construction of your custom built home. You’ve chosen your contractor, the contract is signed, and the plans are complete. Time to move on to the construction of your new home. 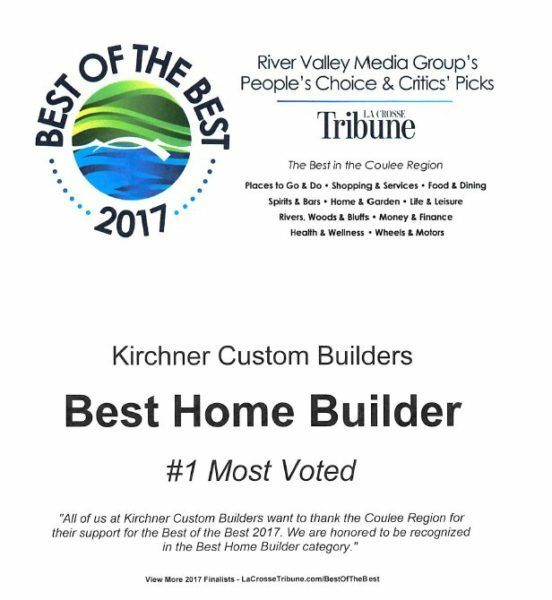 If you’ve never built a custom home before this will be a new experience and you. To help you prepare for the construction phase of your new home, here are 6 things to expect during the process. Firstly, your contractor should be the one to pull all permits. If he doesn’t want to or says he can’t, that is a huge red flag. It could mean he is unlicensed or has had serious issues in the past. Do not move forward if this happens. Find a new contractor. You will need to have your contract signed and specific plans drawn up with your contractor in order to start pulling permits. Cities have more staff for issuing permits and the process tends to be quick and streamlined. Whereas smaller municipalities, such as villages and township do not have the same level of resources and the permit process may take longer. For example, within the city of La Crosse permits can be issued within a week. But in townships, where there is no city sewer system, the septic and well permits have to be issued by the county and that process can take in excess of a month. These septic and well permits must be issued prior to a building permit. You should expect consistent, regular payments to your contractor throughout the project because there should be a consistent outflow of costs. For example, for your $500,000 project, your contractor might draw $100,000 five separate times at fairly regular intervals. It is a red flag if your contractor suddenly requests an extra large draw, such as going from $50,000 to $300,000. This is unusual and you should find out what the reason is for such an inconsistency. Also know that if you make changes throughout the project there may be additional costs related to such changes. It’s up to you to make sure that you will have the funds to cover these extra charges, either personally or through your construction loan. If you finance your home construction via a construction loan, like most people do, you’ll get a loan for a specific amount. Change orders may affect the overall cost and you may need to borrow more money or pay the contractor directly with personal funds. It is a good idea to talk to your lender before agreeing to change orders to ensure you are able to borrow the additional funds or be prepared to pay for change order costs with personal funds. In any event, you don’t want to be left owing an additional $20,000 at the end of the project that you don’t have. Each project is unique in design, size, and scope so the timeframe for construction can vary, but it will likely take upwards of six months to a year. Some parts of the project will seem to go quickly while others will take longer. 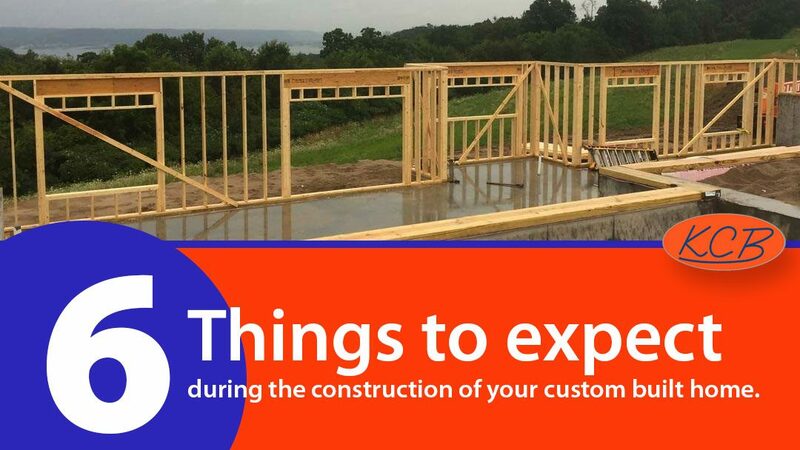 You will find that the initial stages of construction appear to go fast because several big, noticeable changes take place; such as excavation, concrete, foundation, and framing. But things appear to move slower as construction progresses. Some homeowners get anxious because it can look like not much is happening during the latter phases of construction. But painting, installing trim, doors, cabinets, and hardware are simply less obvious and yet they take time to do properly. It may appear as though things are nearly complete after the drywall is up, but know that there is still much work to be done. You may not see the big, grand changes like you did in the beginning, but rest assured that progress is being made. Expect to make a lot of decisions. For some people, this can be quite stressful. A good contractor does not want to overwhelm you so he will bifurcate the long list of decisions you need to make and ask you to make the most critical decisions first and more long range decisions later. He will break them down and offer them to you a few at a time instead of giving you a full list of decisions all at once. For example, he may initially ask you to decide on just your exterior claddings, and then wait till the next month to have you decide on your interior finishes. If you get fatigued or overwhelmed by all the decisions and it causes you too much stress, it might be a good idea to bring in an interior designer to help. He or she can help you move through the many decisions you need to make with less stress. An interior designer can make decision making less stressful and often brings relief to the customer and the contractor. You should expect a final walkthrough when the project is close to completion so that your contractor can create a punch list of anything that needs to be addressed, fixed, changed, or finished. The final payment to your contractor should be made after ALL the punch list items are completed. Even though you and your contractor did a walkthrough, completed the punch list, and everything appeared to be complete, something will likely come up a month or so down the road. For example, you might find a window that sticks, a trim piece that has come loose, or a door that doesn’t shut right. Within a reasonable timeframe, a good contractor will fix these construction flaws at no cost to you. Once it gets to be a year or more past completion then warranty issues usually become subject to a case by case analysis. A contractor can’t be expected to make repairs indefinitely, but there are some situations where he may feel it is his responsibility.